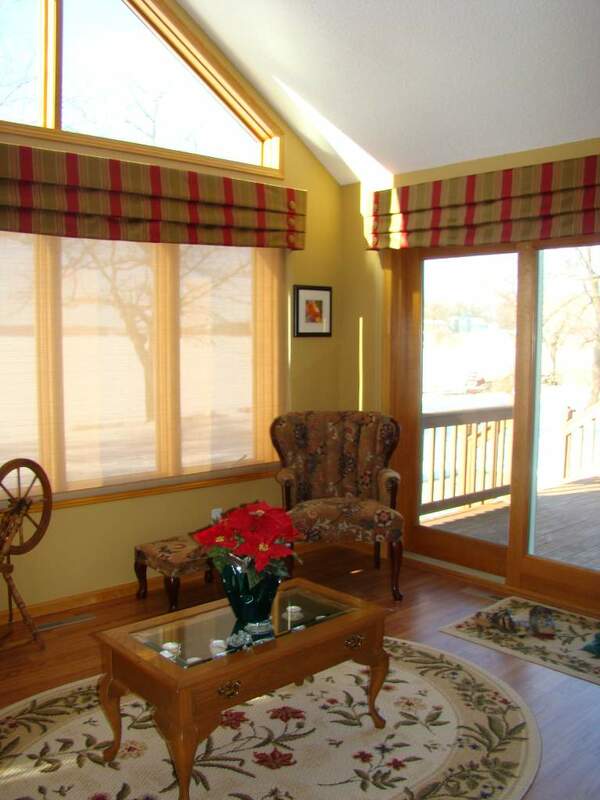 Diane does hard and soft treatments in the Alexandria area. 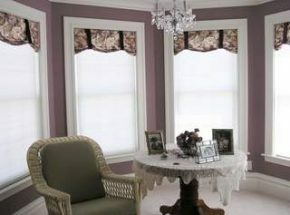 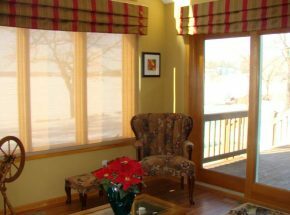 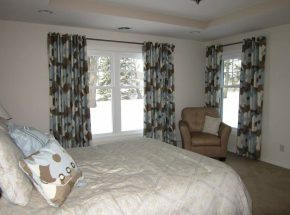 She is very talented at making unique window treatments that fit her clients styles and fit perfectly in their homes. 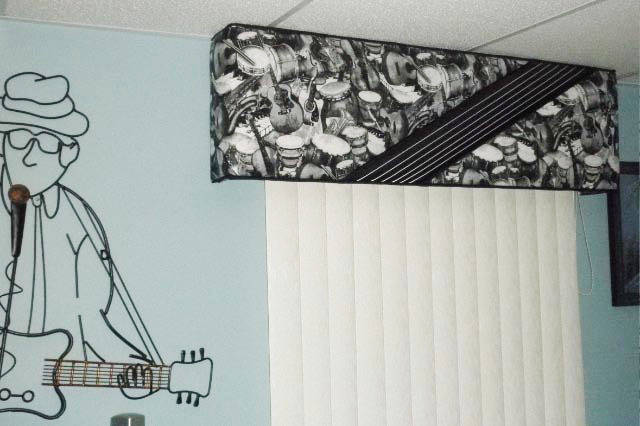 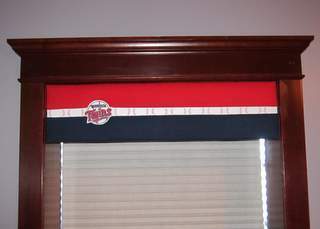 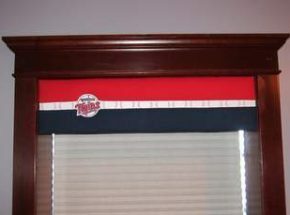 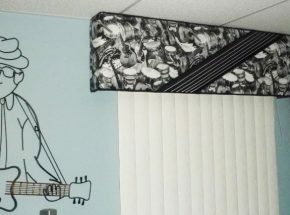 She does a lot of special customization such as the music room that has a drum pattern on the valance and the Twins valance. Each of her projects tie nicely into the decor of the room making every space specific to her customer.